Fan of Tempura? 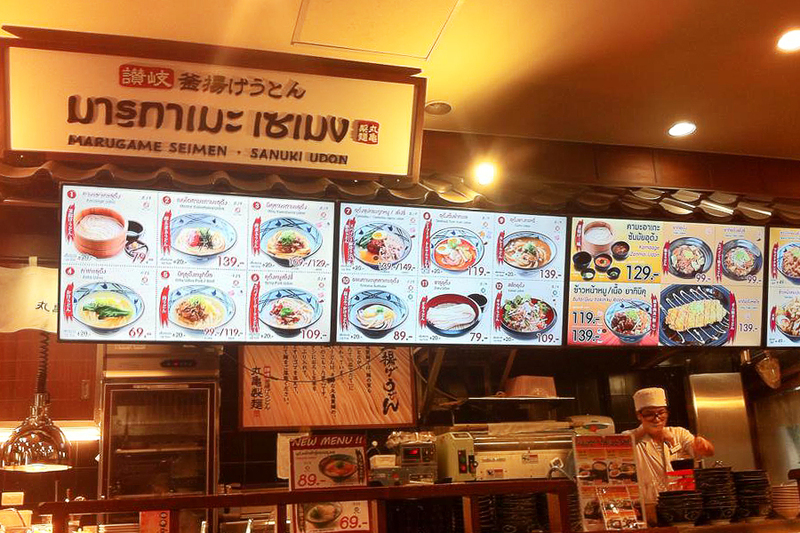 “Marugami Seimen – Sanuki Udon” has got all sorts! At least that’s the readable part of the restaurant’s sign! 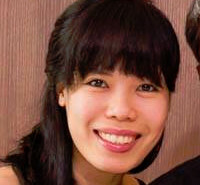 Upon entering, you will be greeted with a lane of gastronomic feasting and friendly service staff. The house offers a range of Japanese cuisine from udon to tangy salads to the all-time favorite: specialty rice bowls. And do not forget the tempuras minus the sushis. Each ala carte is priced from 69-139 baht. That’s pretty sweet for satisfying a harigatu-craving, right? Plus, by just adding 49 baht, you’ll get to up your food into a set meal which gives you side dishes such as the very authentic Japanese seaweed soup and the tastiest-ever salad-udon. I personally love the sides! And I’ll order the biggies next time around. Drinks are purchased separately and there’s not much of a choice. However, fret not. Pinoy’s beloved Coca-cola is up for a grab to complete the set. Sadly, there are no desserts available for the sweet toothed ones. But, there is a MaxValu Store at the Ground Level where you can grab a bar of Snickers or your ice cream sticks (ain’t a bad idea, huh?). Apparently, anything “tempura” or deep fried is first served. You can see a variety of them pre-cooked when you come in. 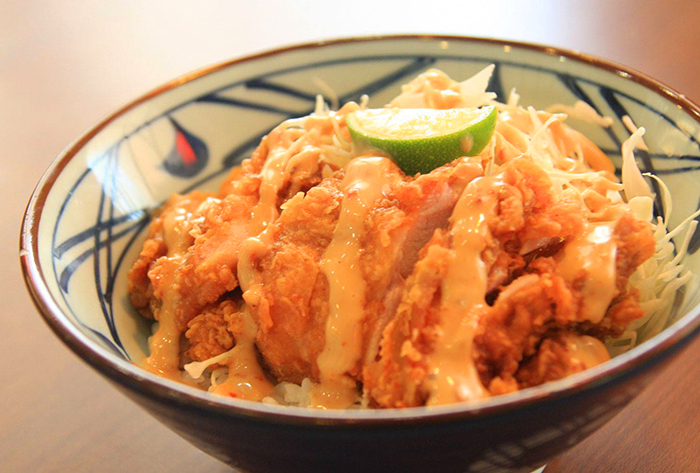 The only warm part of the Spicy Lemon Chix bowl is the Japanese rice. I am not so sure about that, but I’d prefer my tempura pulled out fresh from the oils of the deep! 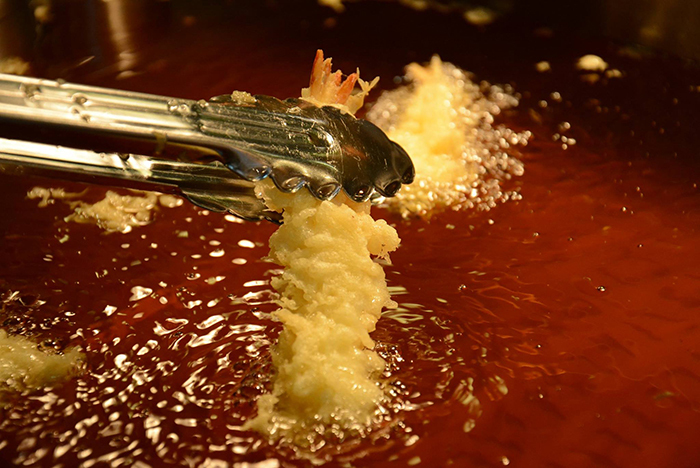 The spicy lemony sauce gave our buds a unique experience so I can let go the cold chicken tempura. Overall, this first bowl gets 4 stars out of 5. Almost midway of our eating came the Teriyaki Bowl. Chicken again! But there is an option to change that to pork. That’s another good thing this food hub offers. I so love the cute little animal cartoons that is on the menu board. It helps you choose the kind of meat available for serving. Back to my piping hot Teriyaki. Hot hot hurray! I was happy, ready to give 5 stars. And I got that right. It’s very “Japanese”. Veggies were crisp and the sauce was just right! This food getaway costs us less than 300baht and I will definitely come back. If you want to give it a try, check it out at RainHill Thonglor Soi 47-49, Second Floor. Moshi moshi has never been this cheap! Have a great oishi time and enjoy every bite!